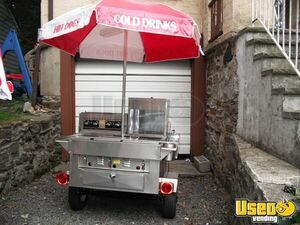 2010 - 3'3"x 3'7" Used Italian Ice Vending Cart for Sale in New York!!! 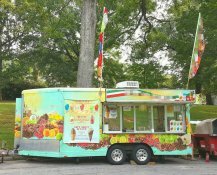 Serve Italian ice or ice cream novelties all day without electricity! 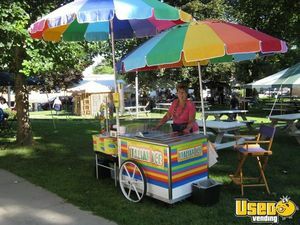 This is a 2010 model 3.3' wide and 3.7' wide used Italian ice vending cart that features all stainless steel interior! More details can be seen below. 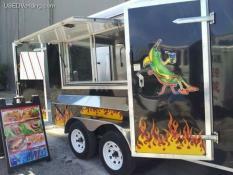 2013 - 4' x 7' Hot Dog / Food Vending Cart for Sale in New York!!! 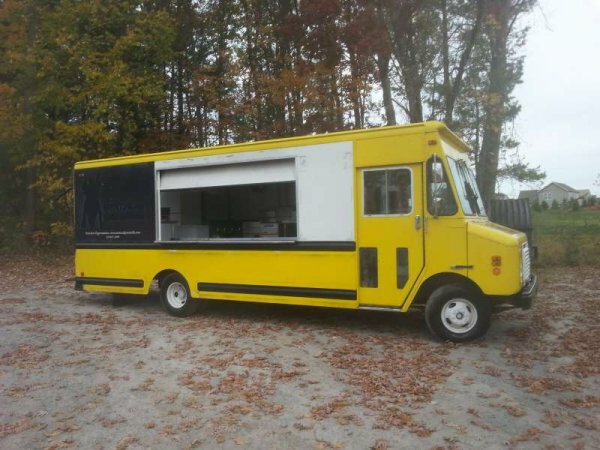 You can have the career of your dreams when you start a travelling food business with this 2013 model 4' wide and 7' long hot dog / food vending cart! See further details of this unit below. 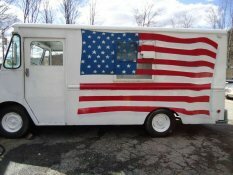 Hot Dog / Food Vending Cart for Sale in New York!!! 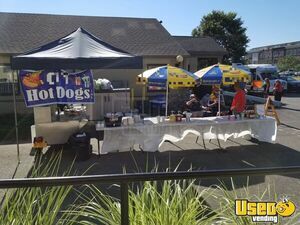 Serve your delicious meals to the crowd with this very good condition hot dog / food vending cart that has equipment already installed! See more details below. 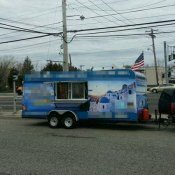 2018 - 3.37' x 5.25' Hot Dog / Food Vending Cart for Sale in New York!!! 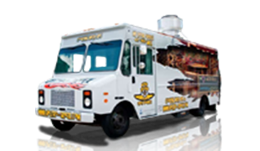 Make your way into the top of the local street food vending scene! 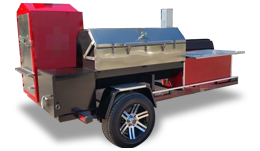 Get started with this 2018 model 3.37' wide and 5.25' long plus 3.33' removable towing bar hot dog / food vending cart! See more details below. 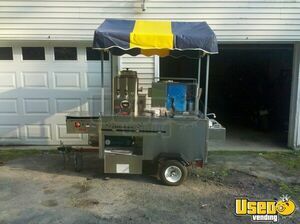 3' x 5' Hot Dog / Food Vending Cart for Sale in New York!!! 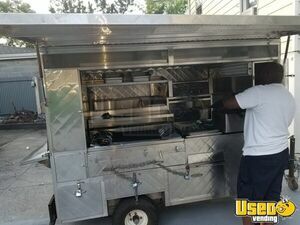 Start your own mobile food vending business with this 2009 model 3' x 5' hot dog / food vending cart and be a real game changer in the street food business world! See more details and features below. Within 24 hours of it being posted I received a call from Melissa that there were multiple buyers interested. I would highly recommend Melissa and the team at Used Vending. 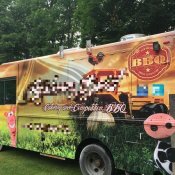 The process to create an ad to sell my truck was easy and within 24 hours of it being posted I received a call from Melissa that there were multiple buyers interested. Melissa did all of the legwork and due diligence to make sure the unit I was selling was indeed what the buyer was looking for. She was very thorough and precise to both parties and to the terms of our agreement. She was in constant contact with me including a follow up over the weekend to make sure all was ok. The buyer showed up to a vehicle that was as exactly as described and priced. There was no haggling. Melissa even provided the paperwork needed to complete the bill of sale. It was a seamless transaction. 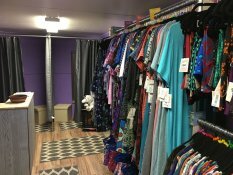 Do yourself a favor and contact UsedVending for your next sale. 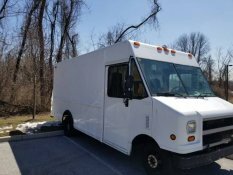 I had fantastic experience buying my second truck from UsedVending.com. 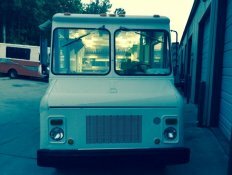 I had fantastic experience buying my second truck from UsedVending.com . Wendy is great to work with. It was a one stop shop for all my question and made truck buying a worry free experienceexceptional value and was offered a high level of customer service. I highly recommend buying from UsedVending.com. This was our first purchase using usedvending.com. Kristy was our contact and I had many questions about the unit we were interested in and how the transaction process works. I don’t think the process could have gone any smoother than it did. Kristy was great in getting the answers we needed and response time was better than I expected. We are very impressed of everything associated with usedvending.com. 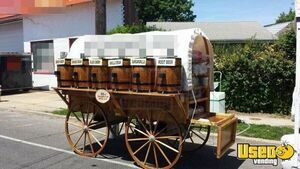 The trailer purchased was exactly as described. We look forward to doing business in the future. They did the advertising, found us a qualified buyer, and made the whole experience easy. UsedVending Got The Job Done! 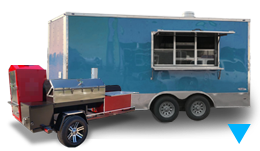 We didn't know how this was going to work, but Wendy walked us through the whole process, and got us a fair price for our food truck. They did the advertising, found us a qualified buyer, and made the whole experience easy. If I need to sell something again, I won't hesitate. Thanks Wendy. Everything went well and a special thanks to Wendy. I never had used an online broker before. The experience I had was a good one. The UsedVending company and the associate (Wendy) were very helpful. She helped me get through a few hurdles along the way, but everything worked out well. The sellers of the property were also quite nice and accommodating to my needs. Everything went well and a special thanks to Wendy. I was very happy with your services. Hi Bradley, I was very happy with your services. You were very easy to work with. All questions were answered in a timely manner. The actual transaction went very smoothly, and everything was great. Hi Wendy! 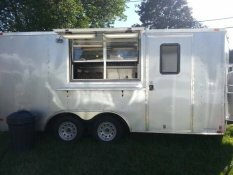 I just want to thank you and your company USEDVending for all of your help. You were very prompt with getting back to us with the answers we needed. You went above and beyond for us by allowing us to contact you through messages, via email and text due to our conflict in schedule's. 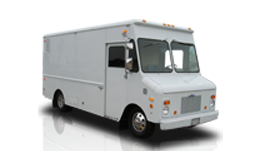 I would recommend you and your company to anyone that is looking to buy used vending or trucks!Thank you for everything that you have done! Well first of all, I sold my truck at the price I was looking for and Melissa is on the ball. She has her act together and great in customer service before and after sale with a great attitude and very customer friendly. 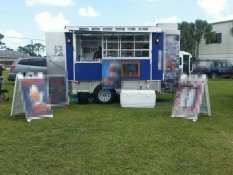 I posted another truck with used vending because im very satisfied. 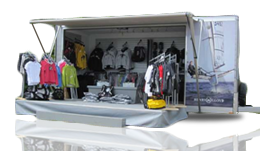 Working with Used Vending was very straightforward and painless. 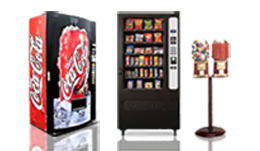 Working with Used Vending was very straightforward and painless. Melissa was very helpful in every aspect of the transaction process, and doesn't take sides when conducting the deal. 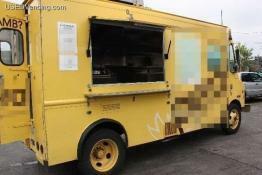 I would recommend contacting Melissa if your thinking about getting into or out of the mobile food game. Melissa was very professional, punctual and efficient during the sales process. She was understanding of both seller and buyer considerations, offering suggestions without being pushy. This made the negotiation and the final deal once that both sides were happy with. Highly recommended. Dear Melissa, Thank you so much for all your time and help with the used trailer from Brooklyn. You provided us with all the information we needed and were able to answer all of our questions when needed. 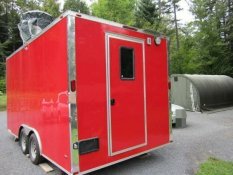 The buying of the trailer this weekend went very smoothly and it looked exactly like the pictures and had all of the amenities which were listed. Once again thank you for your time, information and all of the knowledge you were able to help with throughout this process.